One advantage to having a daughter living in the South, I am able to experience good Southern cooking. 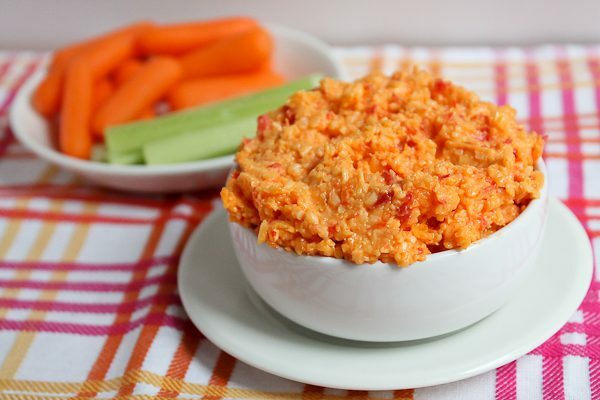 Pimento Cheese is one of my favorites. 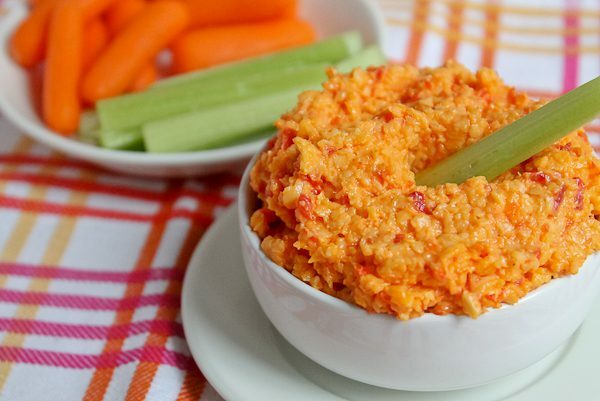 This classic cheese mixture can be used as a dip for vegetables, spread on crackers, as a filling for grilled cheese sandwiches, topped on a hamburger, or a spread for a vegetarian sandwich. It’s so good, y’all! Mix the first 5 ingredients in a large bowl. Taste, then season with salt and pepper, if needed. Can be made 3 days ahead. Cover and chill until ready to use. Transfer to serving bowl and serve with desired items such as baguette slices, crackers, or vegetable dippers. Serves 12 as an appetizer. Note: I like to place the ingredients in a food processor and pulse carefully just until blended; you do not want a smooth mixture! I personally like the cheese a little more finely grated than I can do it myself. I only pulse it a couple times and it's done.